Can I kick it? Yes, you can! We've teamed up with our pals at HiFi Cookies to make September's shake something special. 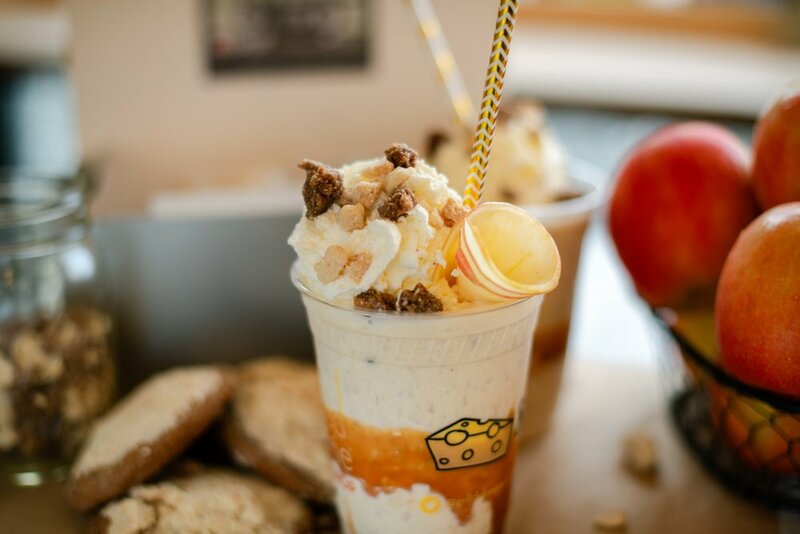 The Bonita Applebum shake is named after the HiFi cookie, which tastes just like Fall: a chai-spiced molasses cookie made with apple butter cream, topped with apple and honey cream and pie crumbs. Oh yes. 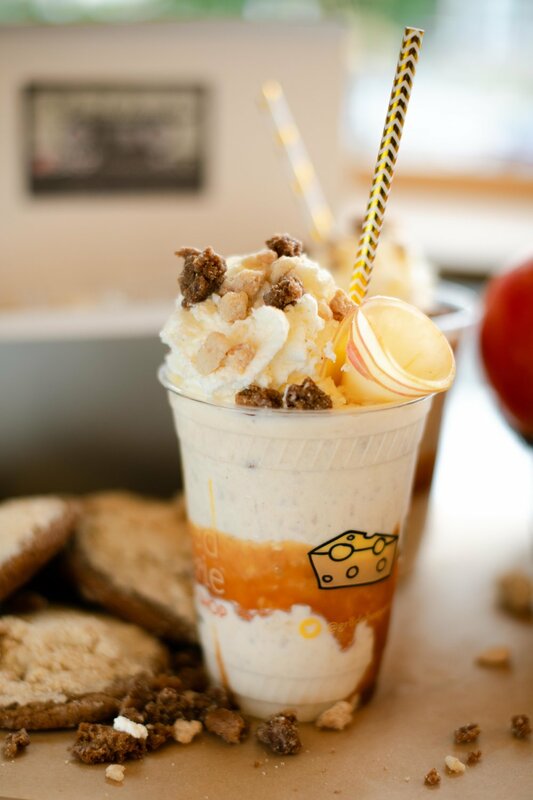 Throw some of that goodness on top of our sweet cream shake, then mix it with roasted pink lady apple purée and well, Bonita Applebum, you gotta put me on. Check out what our friends are doing over at HiFi and come in for a sweet Bonita treat!